A new report produced by the German branch of UNICEF criticizes the government for providing insufficient quality housing and schooling for the record-breaking number of minors it has accepted since 2015. "Compared to many other countries in the European Union, Germany has invested a lot in hosting the refugees in the last two years," Sebastian Sedlmayr, head of children’s rights and education at UNICEF Germany, told Deutsche Welle. "But it's important to flag that there are still some shortcomings." Out of over 1 million migrants who arrived in Germany since the outbreak of the refugee crisis two years ago, about 350,000 stated that they were under 18 at the time of their arrival, mostly from Syria, Afghanistan, Africa and Eastern Europe. The authors of the 68-page German-language study, titled “Childhood Postponed,” interviewed 447 staff and 18 migrant families at the refugee shelters hosting them last year. UNICEF says that while much media attention has been on unaccompanied minors traveling thousands of miles to Europe, they are taken in by the state, and receive round-the-clock priority care, while those with families are left to the adults to care for them. "Children who have come with their families are explicitly excluded from that system and legislation. They have to rely on the capacity of their parents, and of course the capacity of their parents in a situation like that – not knowing the language and the rules of the country – is very limited," said Seldmayer. Most of these children are taken into so-called first reception centers, where, according to the authors, they live 10-12 to a room. “Non-cash benefits, lack of private space, non-lockable sanitation facilities and the experience of violence and conflicts lead to dangerous moments and a hindrance of the development of refugee children and young people," said Adam Naber, from the Federal Association for Unaccompanied Minor Refugees (BumF), during a public presentation of the report in Berlin. As a result, only about one-third of such children regularly attend school, and most are not receiving medical attention to their physical and psychological state comparable with that available to already-settled minors. 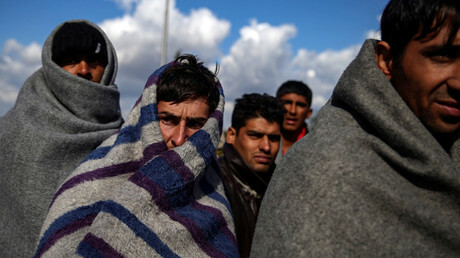 By law, initially families in Germany were supposed to spend no more than three months in the initial accommodation centers, but that period was extended to six months in October 2015, and according to the UNICEF survey as many as one-fifth of the families said that they had spent up to a year waiting for a more permanent home. 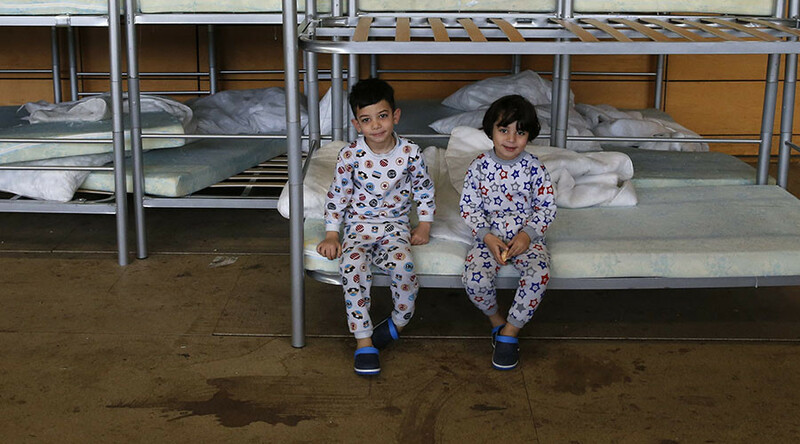 "The children should stay for as little time as possible in asylum shelters and get as quickly as possible into kindergartens, schools and job training... so they don't lose more precious time of their childhood," said Chirstian Schneider, head of UNICEF Germany. With Germany accepting more migrants than any other country in Europe over the past three years, Sedlmayr believes that the neglect is a result of being overwhelmed, and can be corrected through setting new priorities. "I wouldn't say it was a question of money, it's much more the attention," he said. "We need more attention on the children, and especially the children that are accompanied." With sentiment towards all migrants cooling in Germany, and frequent media stories questioning the veracity of the underage claims of many newcomers, the political climate for allocating greater resources to shelters and children’s education, is more hostile than in September 2015, when the media mourned the death of 3-year-old Alan Kurdi, and "Refugees are Welcome" signs were put up in public squares. But Schneider urged that politics be left out of a humanitarian crisis. "Children who have lost their homeland and experienced horrible things have to quickly find their way back to normality. First and foremost, kids are not asylum seekers, migrants or refugees, but simply kids,” said the UNICEF official.